If you’ve visited us recently, you would’ve started to notice a few subtle changes – we’re getting ready to unveil our new look for the New Year! A lot has changed since Medland Dental first opened its doors in 1959. Not only have we grown from a single dentist practice to the one we are today, but we have also seen many changes in dental care and technology. Our commitment over the last 55 years has remained the same, and that is to strive to always provide our patients with the very best through technical excellence and exceptional care. 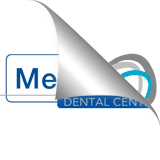 And we believe that Medland Dental’s appearance should reflect this and our committment to progress. As we continue to evolve as a practice, and as dentistry as a whole changes, we remain focused on ensuring that we always put our patients first and deliver on our promise of the Medland Difference – the very commitment on which our practice was built. You will soon notice a new logo that reflects this and a fresh, comfortable and inviting waiting room. You can also expect to see a new, more user-friendly website launched in the New Year making it easier for you to find the information you need.